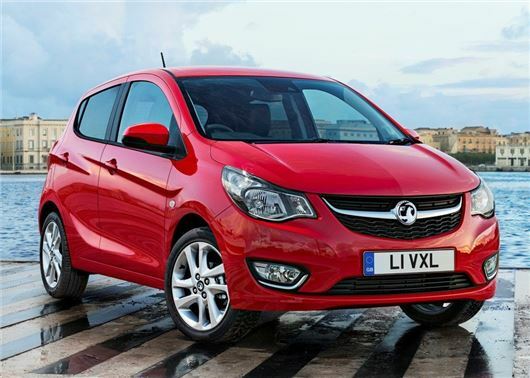 The all-new Vauxhall Viva will reach showrooms this summer, with prices starting at £7995 for the entry-level five-door model. Powered a 998cc three-cylinder petrol engine, the Viva will emit less than 100g/km of CO2 and return up to 65.7mpg. Vauxhall's city car revives the 'Viva' name from the 1960s and 1970s and competes with the Volkswagen Up, Renault Twingo and Toyota Aygo. The Viva is offered with just one engine, a 1.0-litre petrol with 75PS. There's no details about performance yet, but we understand the three-cylinder engine will emit 104g/km and returns a claimed 62.8mpg. The Viva will also be available as an ecoFlex model, which will lower emissions to 99g/km and improve economy to 65.7mpg. The exterior styling of the compact Vauxhall is similar to the Corsa, with sweptback headlights, large grille and a short stubby nose. However, the rear of the car is similar to its city car rivals, with compact light clusters and a small boot opening. Vauxhall claims the Viva will accommodate five, in comfort, although air condition is not fitted as standard. The Viva is offered in four trim levels - SE, SE Air Con, SE ecoFlex and SL - and all get tyre pressure monitoring system, lane departure warning and cruise control as standard. As you might have guessed, SE Air Con adds automatic air conditioning, while SE ecoFlex trim gets front and rear spoilers and LED brake lights. SL models adds Bluetooth, tinted rear windows and 15-inch alloy wheels to the spec sheet.